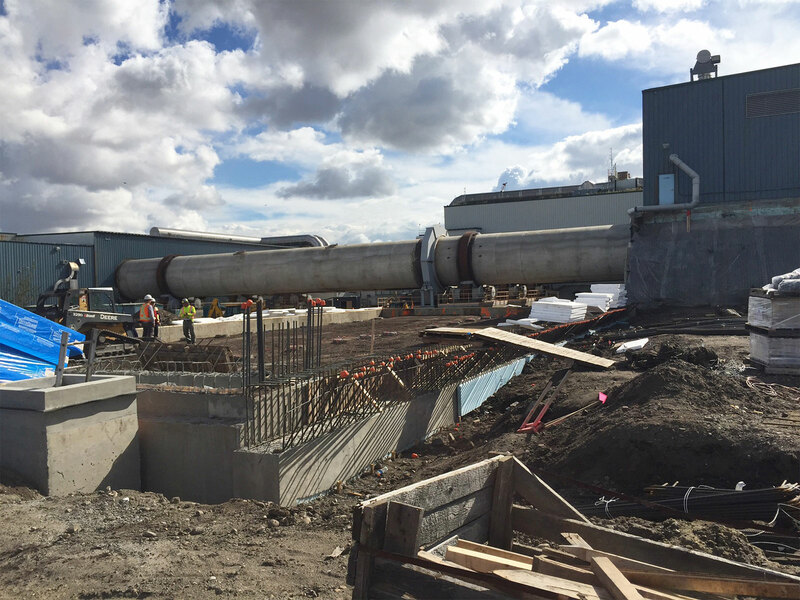 An anaerobic digestion facility (ADF) is currently under construction at the Edmonton Waste Management Centre. 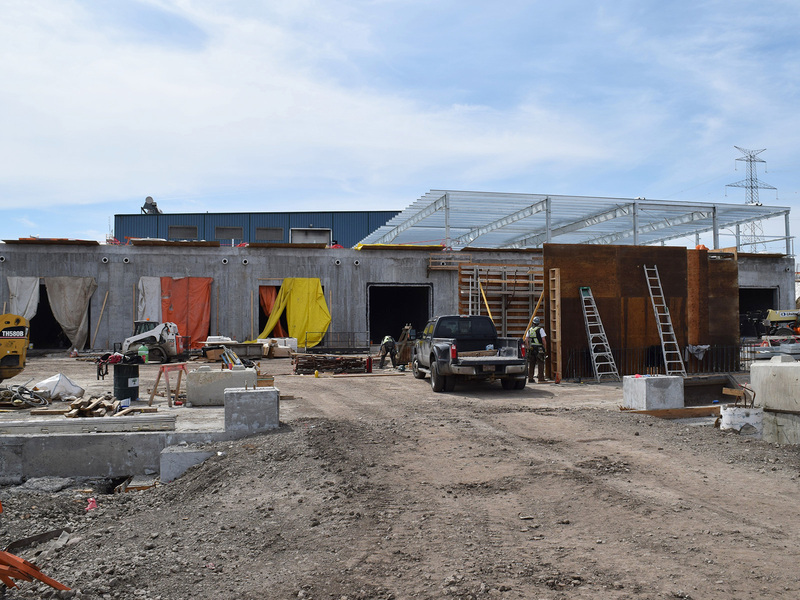 Once operational, the facility will expand the City’s organics waste processing capacity and contribute to the goal of diverting 90% of waste from landfill. 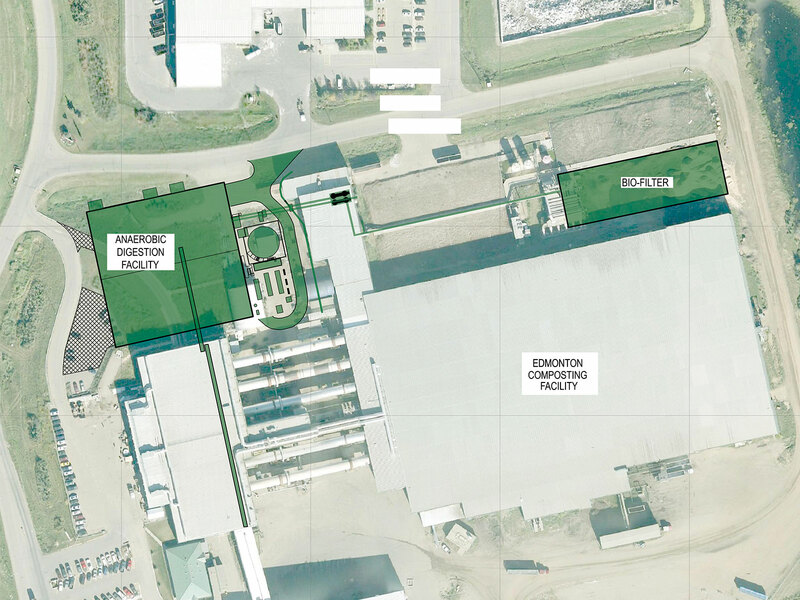 It will also complement the existing organics processing done at the Edmonton Composting Facility. 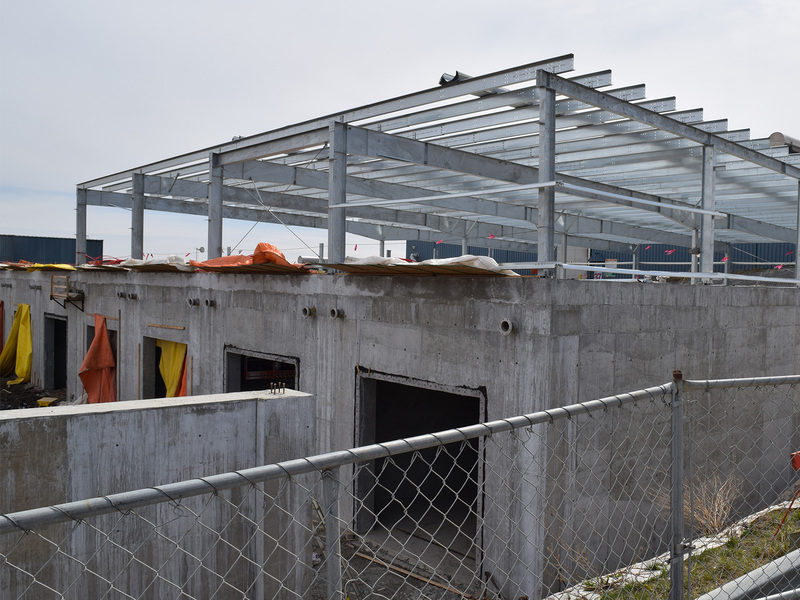 This facility is a partnership between the City of Edmonton and the University of Alberta. It will allow both partners to increase their waste diversion rates and continue reducing greenhouse emissions from their activities. 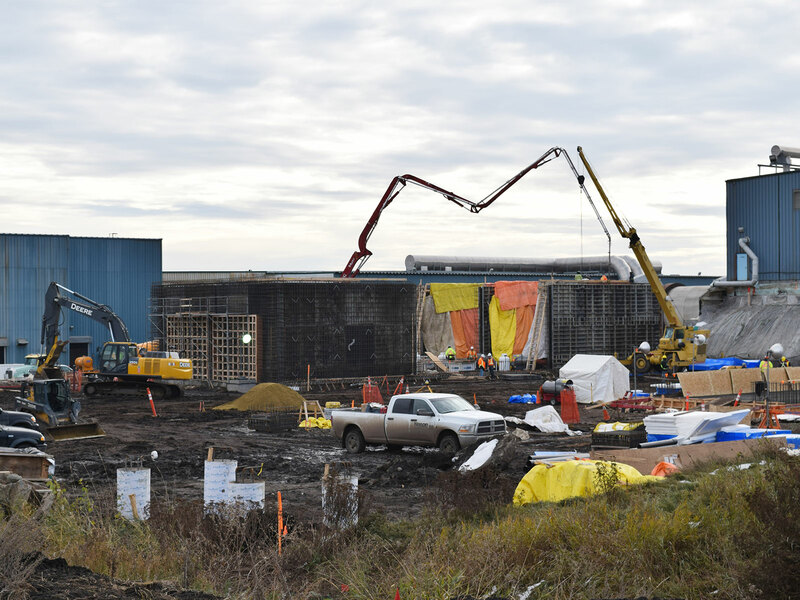 The Climate Change and Emissions Management Corporation (CCEMC), with its mandate to provide funding for initiatives that reduce GHG emissions or improve Alberta’s ability to adapt to climate change, has also provided funding. A collection of sustainable waste processing and research facilities. 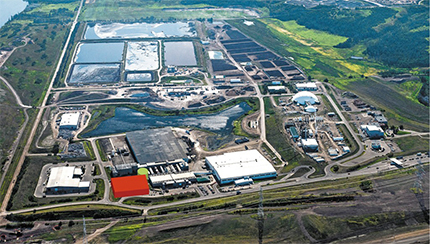 Article on the Anaerobic Digestion Facility.